Hello Cassie, Please see Word Document with photos for better clarification. Small screen shot in image above for your records of what we are doing. 1. 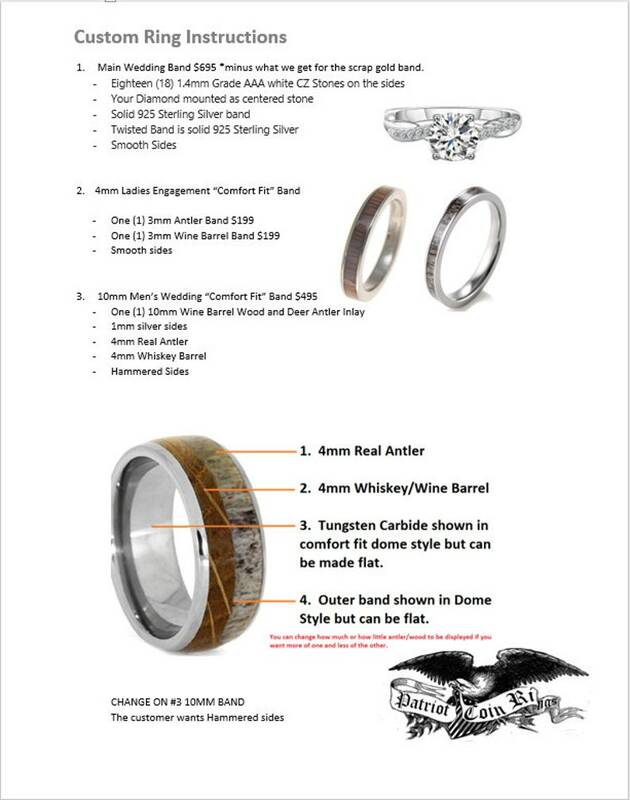 Main Wedding Band $695 *minus what we get for the scrap gold band. If everything looks accurate, I'll begin working the moment you make payment. Kindly allow an estimated 6-8 weeks for completion. If you have any questions, don't hesitate to ask as I'm always here for you Cassie.